Sunny morning, London town, the 20th January 2015, a Tuesday (Mardi, day of Mars), Sun entered Aquarius at 0943, Moon entered at 1300, they were conjunct at 1314, moving the cosmic clock in eternity one solid step further into the Age of Aquarius. The build up to this moment has got me vibrating – jumping, stretching, yelling, groaning, inhaling deep, releasing whatever is left of old Piscean mind traits and energy drains. Aquarius brings us renewal, the water he pours washes away the old and makes way for the new. This new moon is a turnstile into the new age – and like a turnstile, once passed through it does not permit re-entry. As i stretch and chant and strengthen myself physically, spiritually into my third eye comes the vision of a pretty young black girl, not 10 yet, with white and pink ribbons in her hair. my thoughts suggest she is the spirit of Aquarius being born at this special moment of alignment between earth, sun and moon, i wonder if she is perhaps already born, could she be an avatar of Aquarius already radiating her love, compassion and wisdom out into the world. I reach out through my heart to meet her vibration. As i play hindu and sufi chants, light my shrines, shake my chakras and rejoice that I am coming up to my 50th birthday – and that today the sun and moon are in the alignment they were in at my birth, making this my ‘cosmic birthday’ – i notice I am behaving just as I did in the first months of 1995 when my inner eyes first opened and i followed bizarre intuitive impulses that led me to create ritual and discover my ability to sense and channel energy. At that time I rearranged the flat to assist energy flows and made innumerable invocations, i danced alot and felt like Mickey Mouse in the Sorcerer’s Apprentice, joyfully playing with magic he had little understanding of. Staring out of the large windows in the curved wall of my rented second floor apartment i connected energetically with a few energy spots around – the church steeple across the road, the trees in the graveyard and a high balcony of a red brick former children’s hospital now apartment building. This latter point was where I sensed female guardian angels watching me and sending me all kinds of messages and signs. These days i have a flat full of shrines and my own garden to talk to. The SUN has been called father because he provides the essential ingredient – light – for life to exist. Light carries consciousness, light carries information, a feature of the universe we already use in our human technology. The MOON reflects the sunlight to us in the darkness, and mirrors the dark mystery of our own inner being, each of one us a unique reflection of the light of the Whole. MERCURY is in Aquarius, bringing Aquarian topics, such as humanitarianism, human rights, and the collective fate of us all to the forefront of our thoughts. He is retrograde in the Waterbearer Air sign from 21 January for three weeks, giving us a period of reflection on how far we have come on the journey, individually and collectively. VENUS is in Aquarius too, the planet that symbolises the lover archetype in us is travelling through the sign of the collective evolution. She is there to show us love is intended for all beings, not just for a select few in our lives. MARS is in Pisces now, having recently completed his journey through Aquarius. The Warrior is encountering the mystical, feminine, energy of the Fish, and is a catalyst for us all to recognise and honour the divine feminine, bringing in her energy to create a sacred revolution, an awakening, on planet Earth. 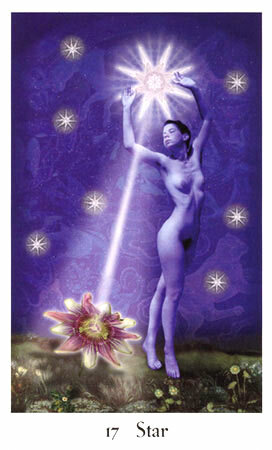 Part of this awakening is finding the masculine aspects of the earth energy, and the feminine side of the sun’s light. Part of this awakening is the queer people of planet earth finding their roles as priests and channels of Father Earth and Mother Sky: is us finding our spiritual realities and roles. During the two thousand years of the Age of Pisces, humanity has gradually opened its heart chakra. The God of the New Testament is a God of Love, unlike the often jealous and angry father of the Old. We have been struggling and exploring, creating the globally interconnected world we have today, and developing human relationships at the same time. Ideas of sexual equality and romantic love as a norm for all are very recent. Love continues to be the driving force in most lives, although we also explore many others frequencies now also. Many of us can see now that LOVE has to lead humanity forwards, only through love will we end conflicts and create a better world. It is not certain that we will get there, the forces that resist love are strong and dark and on the attack. But Aquarius is here to bring an expansion in our understanding, heighten our perspective on life, and inspire new ideas and solutions to our problems. Aquarius is the gay sign of the zodiac – it is Ganymede, the shepherd boy lover of Zeus who was whisked up to heaven to be cupbearer to the gods. Gay people have a role to play in this transition. The mainstream media, the governments and educational institutions, tend to keep us all focussed on economic issues, on competition and conflicts, but out of the mainstream view there has been a massive expansion in all things spiritual. People are finding their own ways to explore their issues and discover their inner wisdom and magic. I feel that 2012 was the turning point we all hoped for and that since then the build up of spiritual energy on the planet has become unstoppable, and it is reaching a point of critical expansion. The full on rush of Aquarian energy at the moment is telling us there is no going back, we have made it through the portal, and although life on earth will remain crisis-bound and shaky for some time yet, the light is here, we now have to get used to it, learn to work with it as we leave outdated ways of thinking and being behind us and step forwards as Love Warriors here to bring understanding, compassion and healing light to a troubled world. Evening of a day of sunshine, yoga and stillness. The newness of a new moon, just coming out from the sun’s shadow, tender, fresh as a newborn Star… the star of Aquarius. The new moon tells us we are all our own stars. The divine light within us was born to shine, we will find the way, we will have our time.